The Islamic State is spreading its influence in India. Three men have been murdered in the same brutal manner. Much of the book involves the deciphering of an ancient carpet that is connected to these murders. The plot is intriguing right from the start. The story starts in present-day Delhi and then goes back to tell the whole story. The plot is thrilling throughout the book. It is obvious that an extensive amount of research has been done. The book involves history, linguistic paleontology, politics and extremist beliefs. It also mentions the controversy around a famous monument in India. I liked that the author embedded so many parts of history in the book without making it boring. The concept of structures built out of the Khushawari carpets was also interesting.The book has a strong plot that is mysterious and thrilling and holds the attention of the reader till the end. The book is very well-written. Much of the narrative style of the book involves first telling us about an incident and then taking us to the past and showing how it occurred. 21-year-old Kubha has to survive against all that she is put through and help her nation. Kubha’s mother Afsar Fareedi, father Kratu Sen and grandfather Faraz Fareedi also have key roles in the book. Some parts of the book went on in a lot of detail and it made the book a little boring to read. Since the book involved a lot of topics, it did feel like there was too much going on. I doubt I have read any other book with this much amount of research and information and I really appreciate the author’s hard work in that. The book is mysterious and suspenseful throughout. It is very different from what I usually read and that made it a very refreshing read for me. 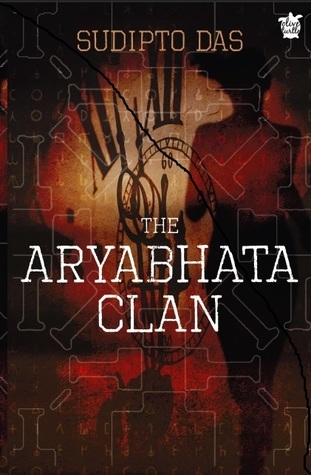 The Aryabhatta Clan is an interesting and complex book that will give you a lot of knowledge and will leave you satisfied by the end. I recommend it to readers who like history and are looking to read something different.